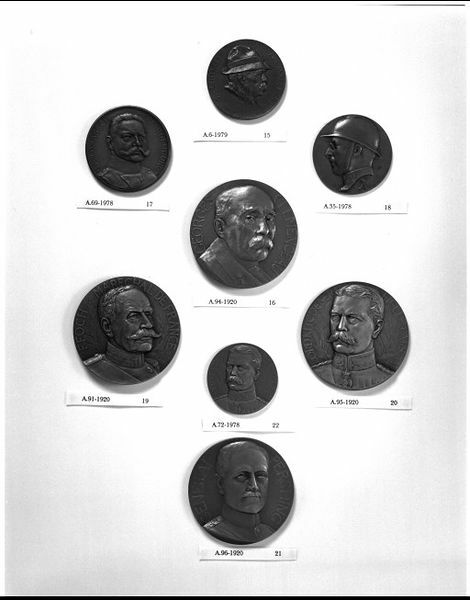 This bronze medal depicting the portrait of the Feldmarschall Paul von Hindenburg is made by the the Mayer & Wilhelm die-sinking company in ca. 1916 in Germany. 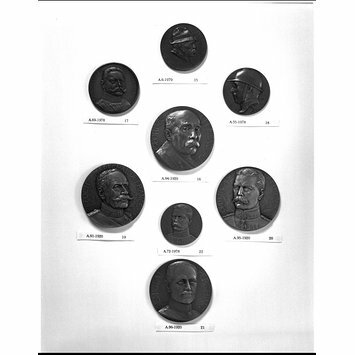 Wilhelm Mayer, a sculptor and engraver founded a die-sinking company (Metallwarenfabrik) in 1860, which he run from 1876 with his brother-in-law, Franz Wilhelm (b. 1846). 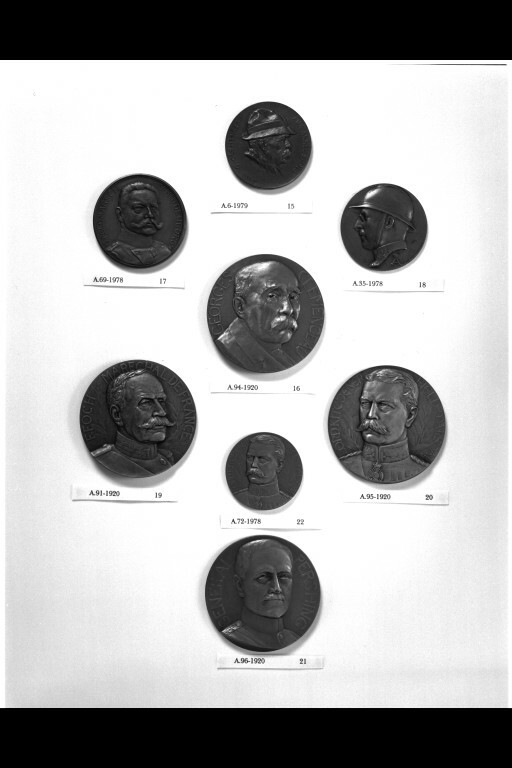 The firm specialised in portrait medals. The sitter Hindenburg (1847-1933) had already retired from active service in 1911, when he was recalled in August 1914. Under his and General Ludendorff's strategy the Russian invasion was forced out of East Prussia in 1914. In 1916 he took over the German land forces, then him having been promoted to the rank of Field Marshal. After the war von Hindenburg was elected President of the Weimar Republic in 1925. He was still regarded by many Germans as a father figure. In 1933 he found himself forced to appoint Adolf Hitler as Chancellor. Obverse: Bust of v. Hindenburg in military uniform. Inscription.